Don’t call it a comeback. Fans received a huge surprise over the weekend when the one and only Damn Fool resurfaced on Twitter after months of being absent and brought news of a return to music. 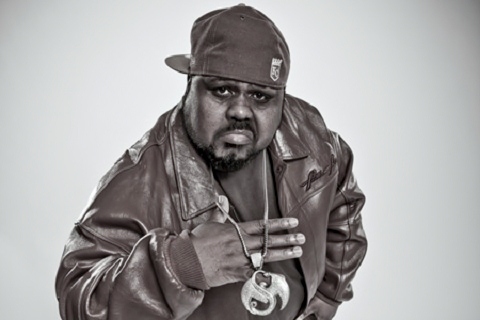 With his last tweet dating back to July, Big Scoob unexpectedly jumped on to Twitter to greet his fans and announced a new collaboration between Krizz Kaliko and himself. He followed that announcement by confirming his return to music in 2012. The last time fans heard from the big fella was on his No Filter EP, which had favorites like “Torn” and “Soil Muzik”. With Krizz Kaliko working on Kickin And Screamin, it’s fair to speculate fans will hear the collaboration on the album. Now that Big Scoob has expressed his desire to go another round with music, what can fans expect from the controversial MC? Could there be a new Big Scoob album on the way? Stay tuned for more from Big Scoob! What do you think is next for Big Scoob? Leave your thoughts below!